From £2.95 per sq ft. Subject to contract. 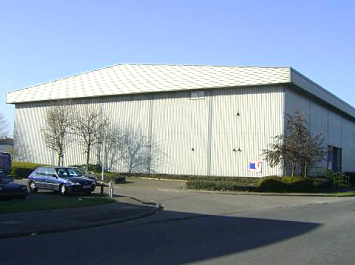 The premises are located on an island site between Rothersthorpe Crescent and Main Road, on the Rothersthorpe Trading Estate. The Estate has good access onto the Towcester Road and also Rothersthorpe Road which in turn connects with the A45 dual carriageway from where there is access to the M1 motorway at junctions 15 and 15a.